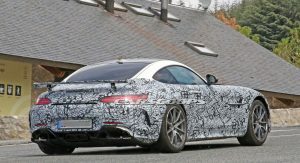 Louder Mercedes-AMG GT R Prototype Spied With New Exhausts, What Is It? 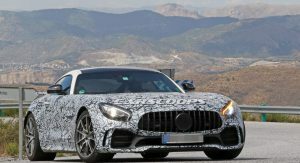 Ever since Mercedes-AMG launched the GT in 2015, fans and car journalists have been constantly wondering when they will get to see a Black Series model based on it. 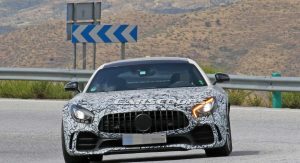 Well, it’s 2018 and Affalterbach still hasn’t launched an AMG GT Black Series. 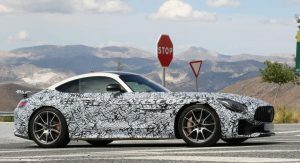 Over the past year, we have seen plenty of AMG GT and AMG GT R test cars running in camouflage but most of the time they featured no visible modifications. There may be hope, however. 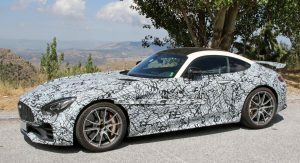 Our spy photographers have come across an interesting AMG GT R prototype that might conceal some hardware reserved for a hotter version. Just don’t get too excited because the changes are not that big from a visual standpoint. 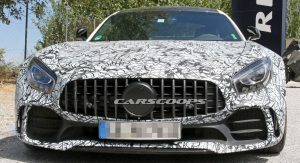 At first glance, this test car seemed just like all the other prototypes seen before. 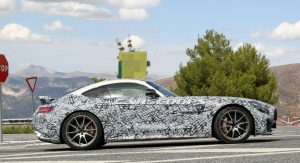 However, it was louder than a stock AMG GT R, and a closer inspection revealed why. 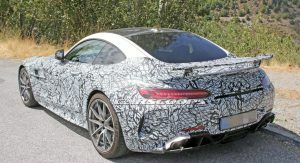 While the front end and interior didn’t give away any clues, the rear end did. 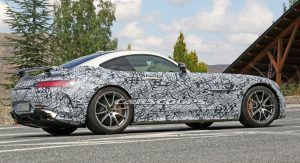 The bumper is clearly sourced from a GT R but the big central exhaust is fake. 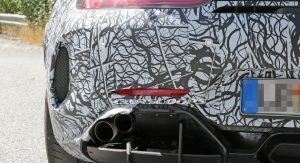 Look closely and you’ll notice that it has a completely different exhaust, with two round pipes on each side stacked on top of each other. 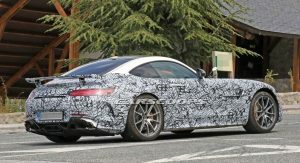 It’s a layout similar to high-performance Lexus models like the RC F.
We can’t say for sure whether this is an early prototype for an AMG GT R Black Series or the recently confirmed “Clubsport” track-focused version. 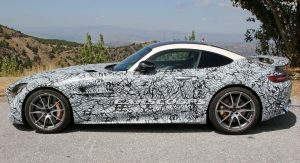 Nevertheless, it’s clear that Mercedes-AMG has something new in store for the GT, and that can only mean good news. We know it’s loud and fast, let’s just hope that it’s also Black. Something is wrong with this car. 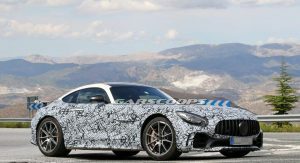 This class of car should leave your jaw on the floor and craft the dreams and ambitions of the young and aspirational. Somehow, it beautiful from just some angles and utterly dull from others. As a whole, it leaves me kind of flat. 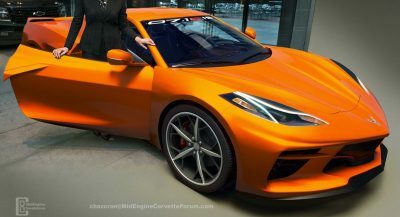 Its def a cool car, but it is not as exciting as even the getting-old R8, NSX, and others. 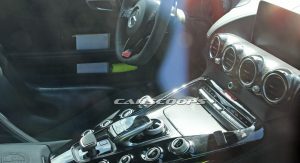 You are probably rigth and it is mostly because it has the engine in the front. You then get a long bonnet with short head and tail. 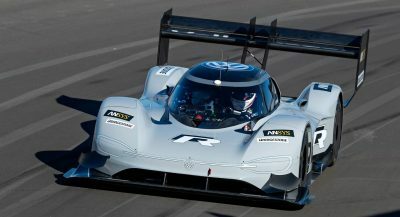 No car is actually beautiful from all angles ecpecially not modern cars. 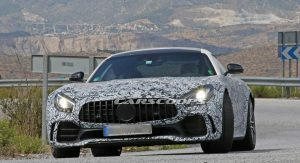 That seat is not the normal seat they have in the AMG-GT now. They don’t look like fixed buckets.